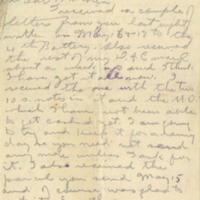 Item consists of a hand-written letter sent by Gordon Stepler, stationed in France with the 4th Battery of the Canadian Field Artillery, dated June 12, 1917. 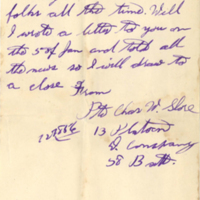 Item consists of a hand-written letter from Private Charles Shore to his mother. 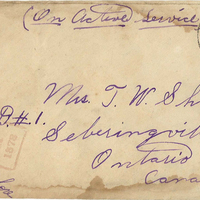 Item consists of a hand-written letter from Private Charles W. Shore address to his mother. 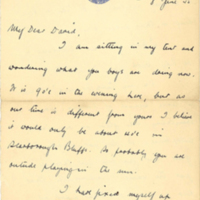 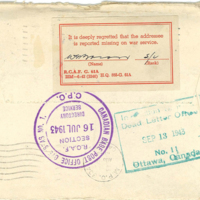 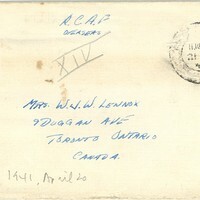 Item consists of a letter written by Ted Aplin to his son David on 8 June 1945.